Younger spines are bright carmine red. 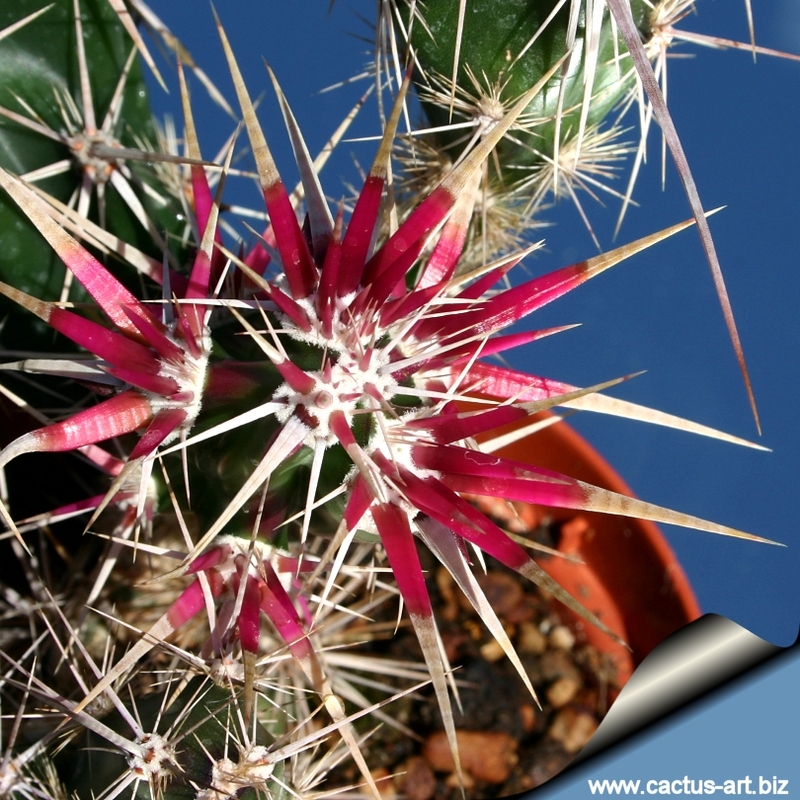 The buds are very spiny too! 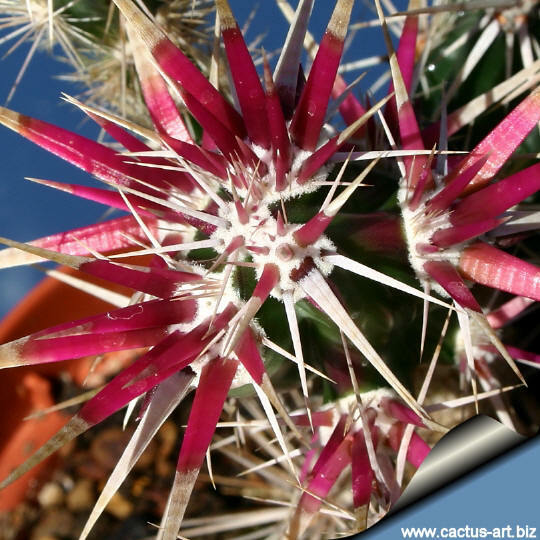 Cultivation: This plant from Baja California needs warmer winter temperatures, and can resist only occasional light frost, above -2 C. It is very sensitive to over-watering (rot prone) and needs good drainage. Fertilize with a half-strength liquid fertilizer in summer. 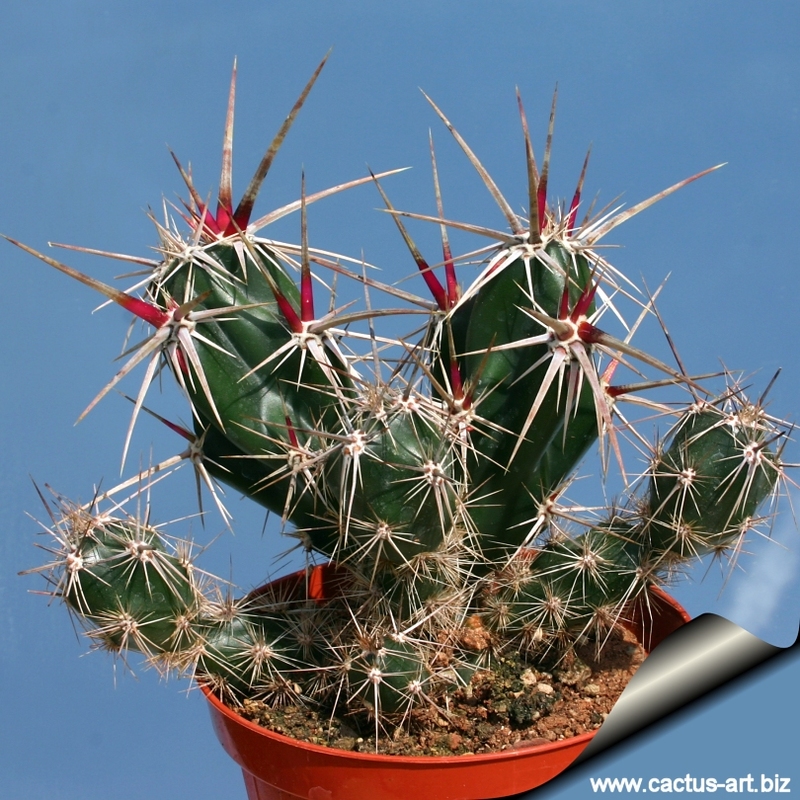 Irrigate regularly during the growing season, keep absolutely dry in winter. Needs full sun. Distribution: Vizcaíno Desert Region to just north of the Cape Region. Central Baja California, Mexico. 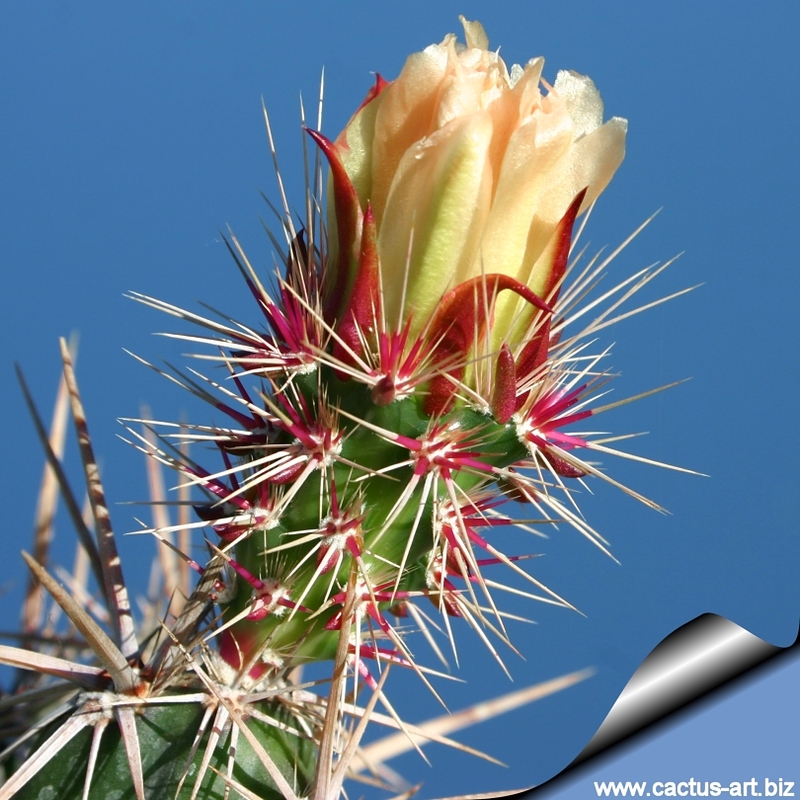 Habitat: Grows in silty, sandy, or gravelly soil at low elevation near the coast. In some part of its range O. invicta grows among Echinocereus brandegei and Echinocereus hancockii this species look remarkably like one to each other. The adaptive value of this convergence (if any) is unknown. Common English Names include: Dagger Cholla, Devil Cholla, Club Cholla, Casa Rata. 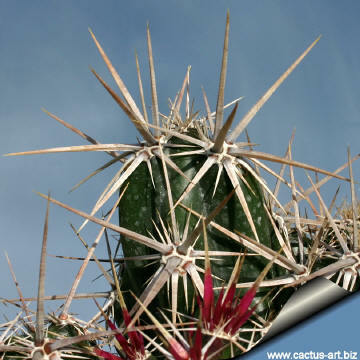 It is also know as "Horse Crippler" and "Rat House." 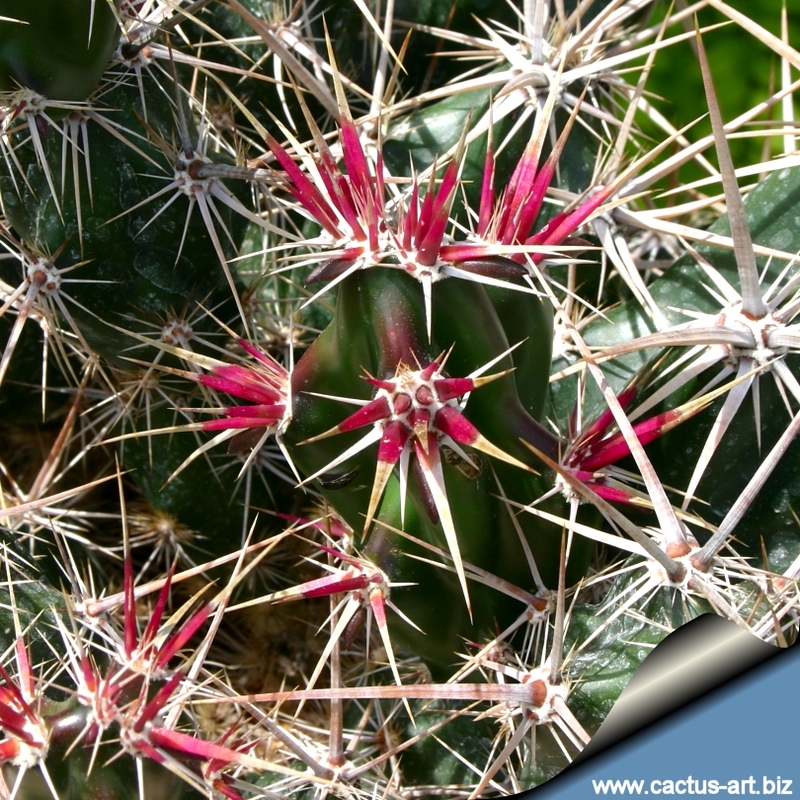 The name rat house has been given because it provides protection to various rodents who build their burrows under this plant. 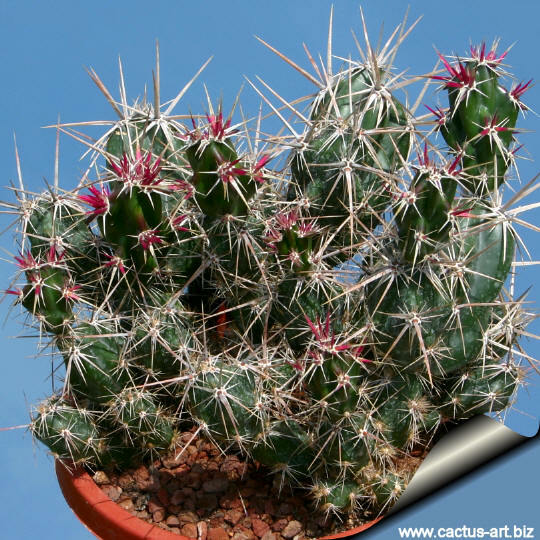 Etymology: The genus name"Opuntia" refers to a Greek name used by Pliny for a diverse plant which grew in the region of the town of Opus in Greece. 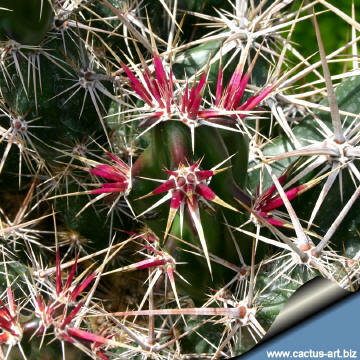 The species name "invicta" The specific name means "invincible"
Description: This is a mat forming cactus that grows approximately 20-50 cm high and up to 2 m across (or more) with stout stems and very broad formidable spines. 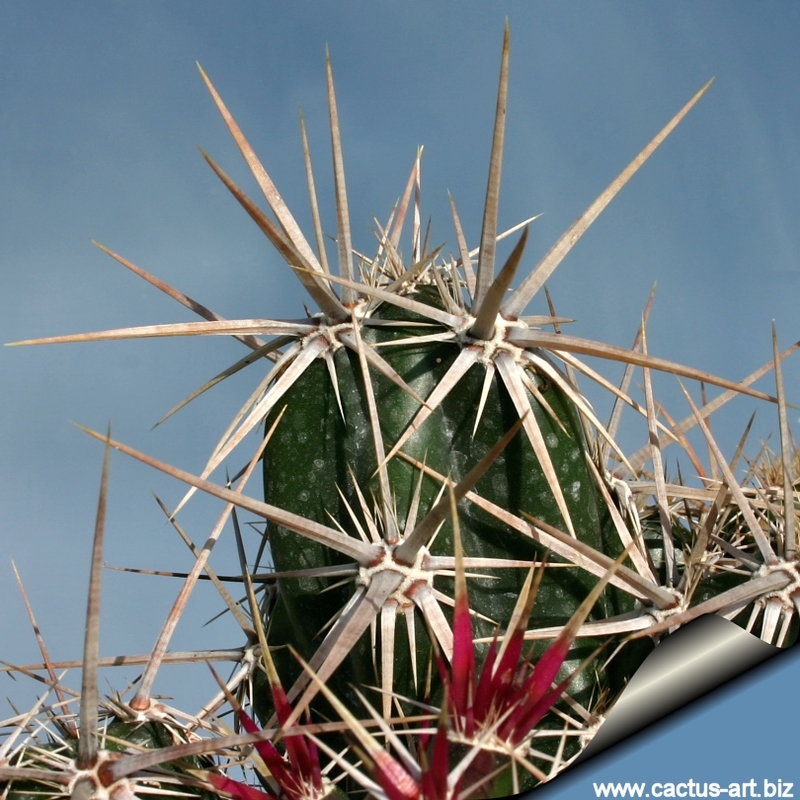 Spines: Thick, sharp-pointed, straight and strongly flattened, that look like little daggers, 1- 5 cm long, and are at first reddish or purple with bright carmine-red base, turning grayish-white and finally black. 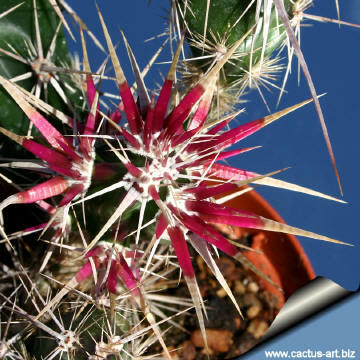 Note: This species strongly resemble in habit with some Echinocereus (i.e. E. brandegei - E. hancockii) and do not suggest in the remotest degree any of the other Opuntia.